Today’s friday photo was taken on a recent visit to the New Hall Valley Country Park. Opened in 2005, the park was the first urban country park to be created in England for more than 10 years. 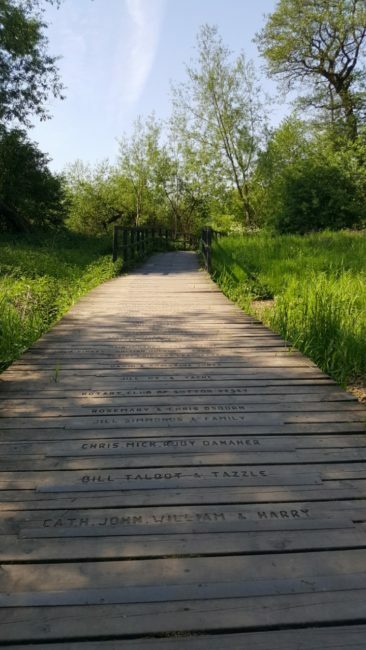 The above photo is taken on the wetland boardwalks, which have named/dedicated tread boards.